You can now book on line. The office will open May 2nd. Sailing will start again on May 25, 2019. Come, join us, and experience the sensations of sailing at sea. Sail with us along the spectacular southern coast of Maine. Slide gracefully along beautiful Ogunquit Beach one moment and then watch as the coast transitions into the rugged rockbound beauty of the Marginal Way. Sail by oceanfront homes, and see waterfront scenery not accessible by land. See the coastlines of York and Cape Neddick or Ogunquit, the Wells beaches and a little of the Kennebunks as they can only be seen while sailing. Listen to the surf crashing and ebbing over rocks while admiring the scenery that defines the Coast of Maine. Watch as Perkins Cove fisherman bring in their catch, look for seals and the occasional Minke whale or just relax, sip a glass of wine and see the sun go down. 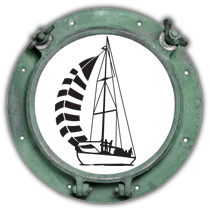 Maybe you’d like to take the wheel, hand a line, have your children do the same, or perhaps it’s the feeling of just being on a true classic yacht that you seek. The Silverlining sometimes thrills and sometimes soothes as she charges to windward, reaches offshore or is pulled downwind by the spinnaker. Whether you’re an old hand at sailing or just always wanted to try it, it’s your time and you will have the ocean practically to yourselves. Most of all have some fun, let the Silverlining be the backdrop for a lasting memory of Ogunquit and the southern coast of Maine. As you can see, I’m busy developing content for our « in cockpit » chats. Of course I’ll still be making some of it up. In 4 months we will be sailing again, looking forward seeing all our friends. Starting today, reservations on line are available. The office will reopen on May 1st. If you have any questions until then, we are always available by email, through our contact page.